Manchester Orchestra and The Front Bottoms has announced a US tour beginning on November 21’st in Atlanta, Georgia at Manchester Orchestra’s yearly Thanksgiving festival The Stuffing, taking place at Fox Theater and ending on December 18th on Lowell, Massachusetts at the Tsongas Center. Fan club pre-sale tickets will be available today, August 13th at 12:00PM local time, with an additional Spotify pre-sale beginning Tuesday, August 14th at 10:00AM local time. Citi® Cardmember and local pre-sale tickets will be available Wednesday, August 15th at 10:00AM local time and all remaining tickets will go on sale to the general public on Friday, August 16th at 10:00AM local time. 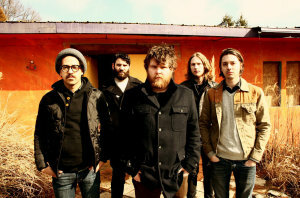 For complete details, please visit please visit www.themanchesterorchestra.com and www.thefrontbottoms.com.